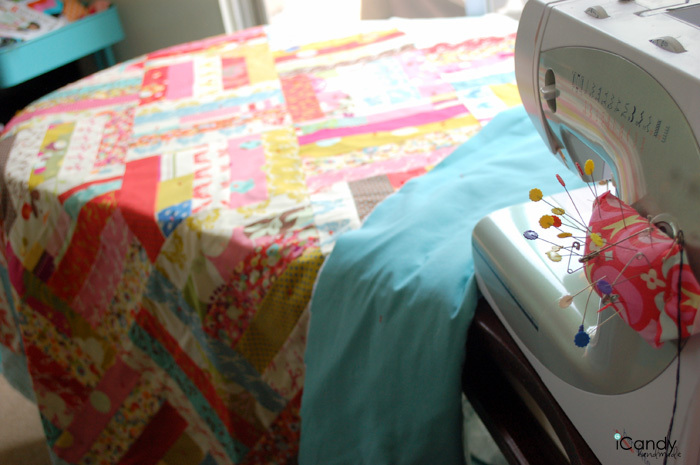 Once you have your quilt top pinned to your batting and backing fabric, you’re ready to begin quilting. 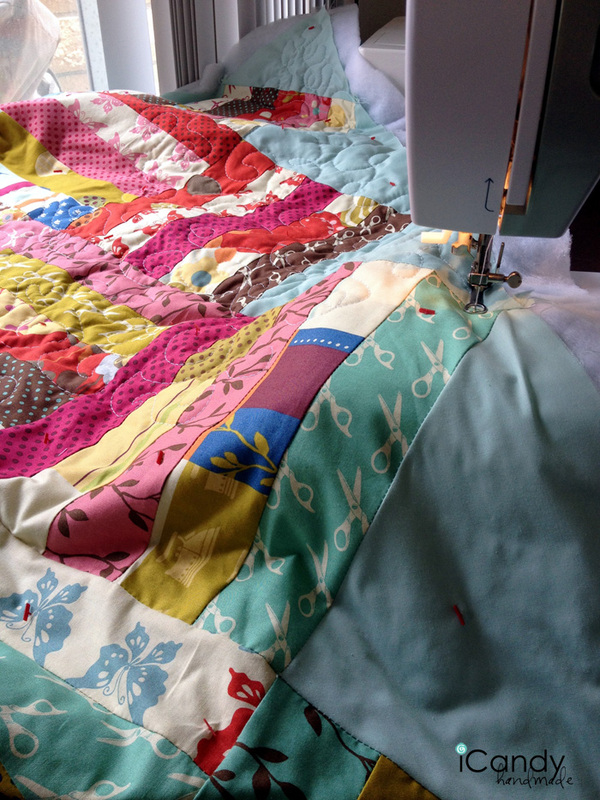 The hardest part of making a quilt, in my opinion, is making sure that both the backing fabric and the quilt top are completely flat and straight. I still haven’t figured out all the tricks! 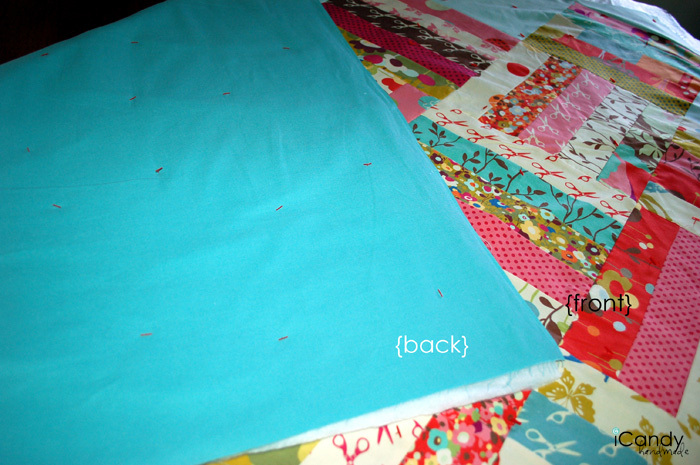 Quilting is so fun. I was taught how by my friend named Sue, and I’ve had so much fun trying to figure it out since. Your first time will definitely not be perfect, but the more you practice, the better you’ll get! 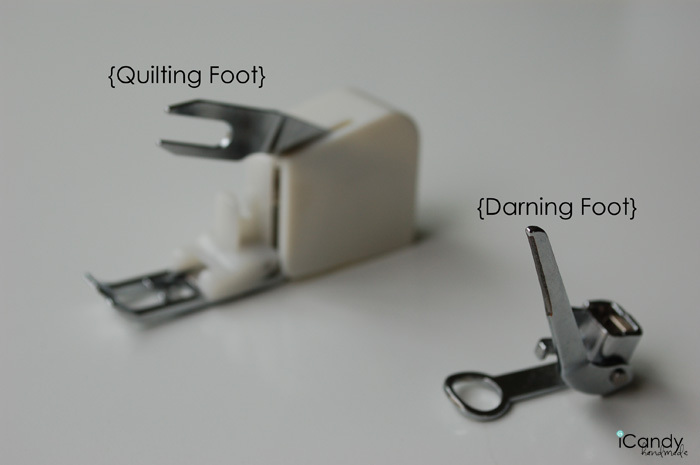 …and putting on your darning foot. After your darning foot in on, you also have to lower your feed dogs. 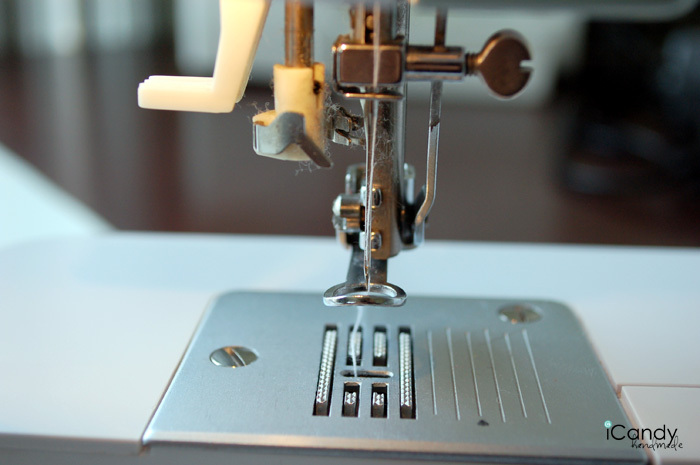 I don’t know if all machines have this capability, but to lower mine, there’s a little switch sort of where I change the bobbin. see below. 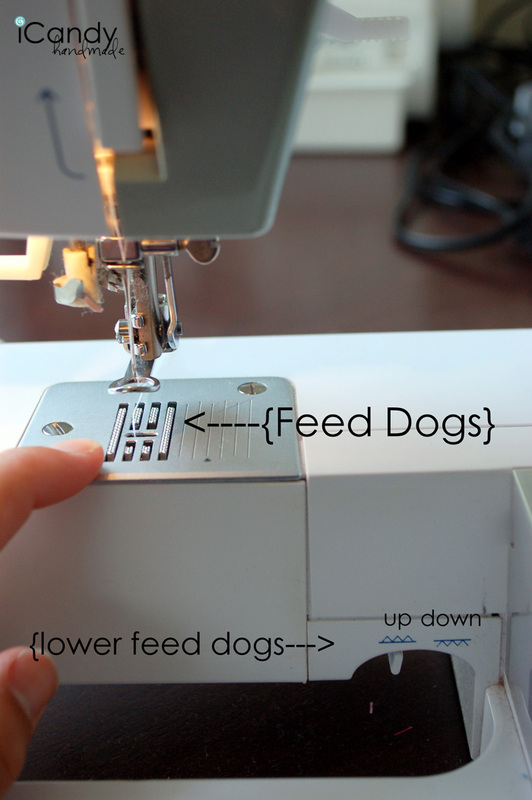 Feed dogs pull your fabric in one direction while you’re sewing. 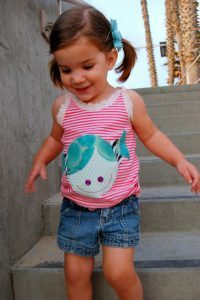 When you lower them, you are able to move your fabric in any direction you want. 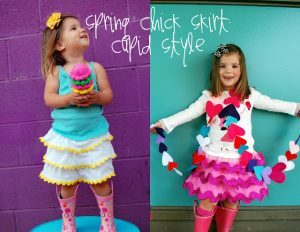 The trick, though is moving your fabric at the same rate that you’re sewing. (So your hands and your foot have to be in sync). 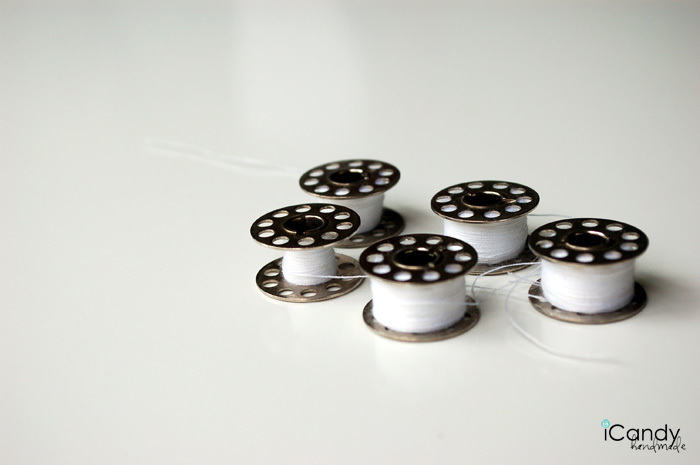 You’ll also want a lot of bobbins ready to go! 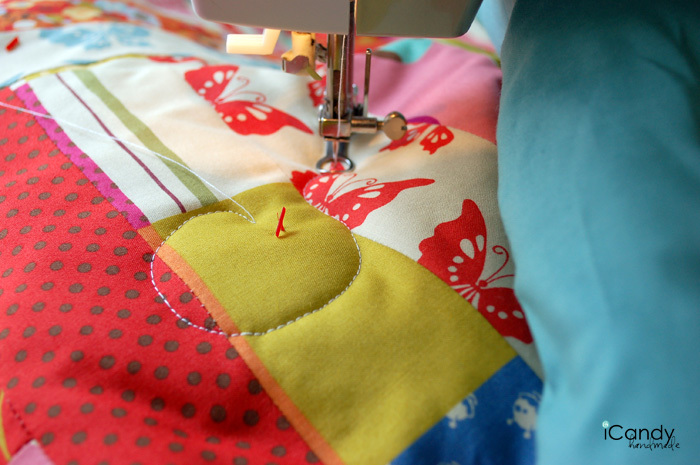 You’ll want to begin quilting by starting in the middle and working your way out. 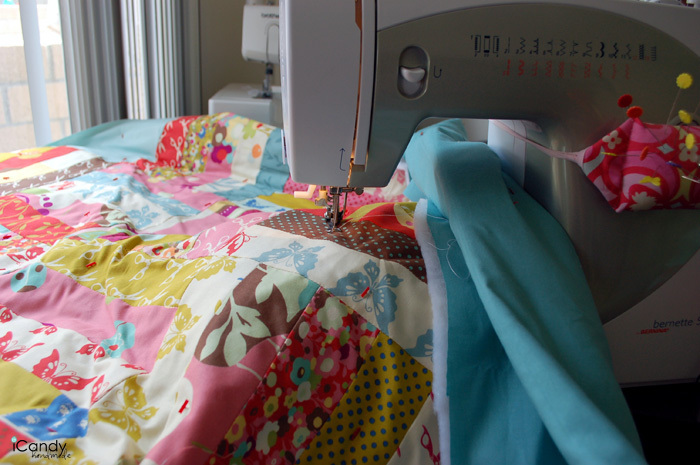 So you’ll have to roll your ‘quilt’ to be able to fit that first half under the short arm of your machine. 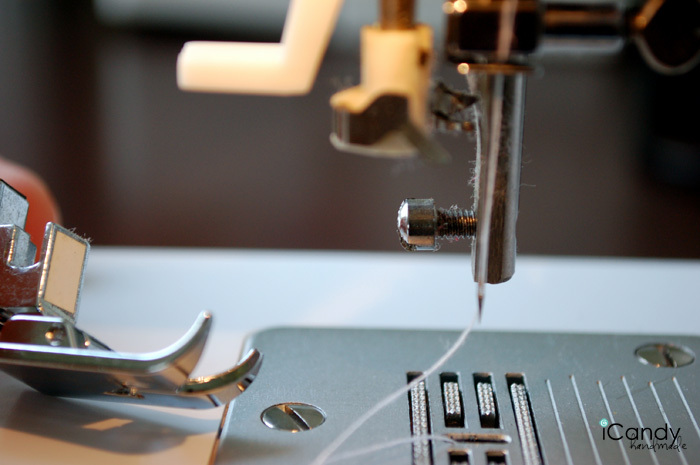 This is what it will look like when you’re ready to go…I’ve rolled up the one side so my needle is mostly in the middle. 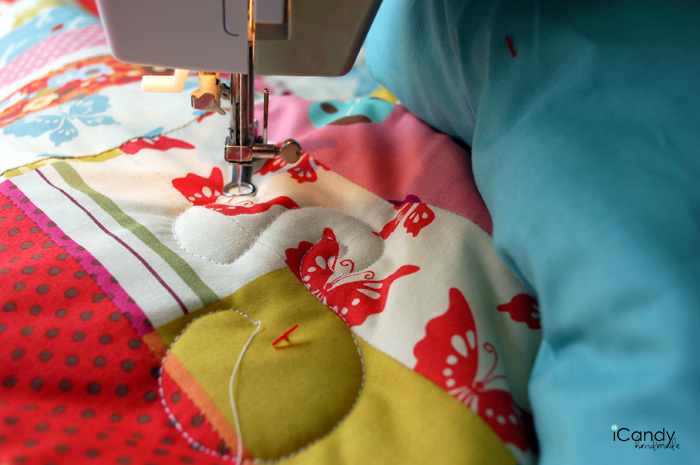 Make sure that you hold your fabric taut as you sew so you can eliminate any wrinkles. 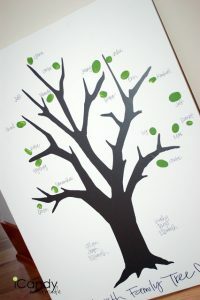 I mostly try to swirl my way around free-hand. 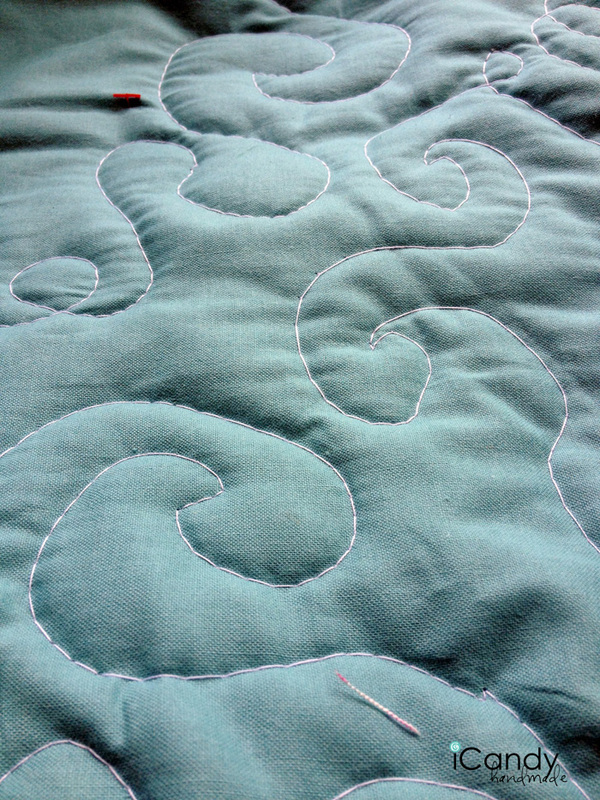 This is what it looks like: To make the sharp corners, (that sort of look like waves) you need to make sure your hands stop for a stitch or two before resuming the same movement. ) I have a video that shows you what I mean below. Just slowly work you way around swirling and whirling as you go. 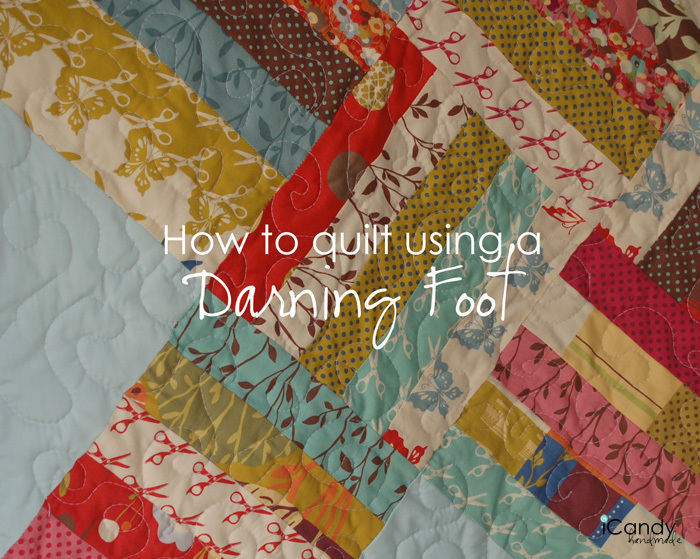 If you need to stop, that’s OK, just try to stop with your needle down so that you can pick up again without jostling your quilt, and then you can pick up right where you left off, easily. 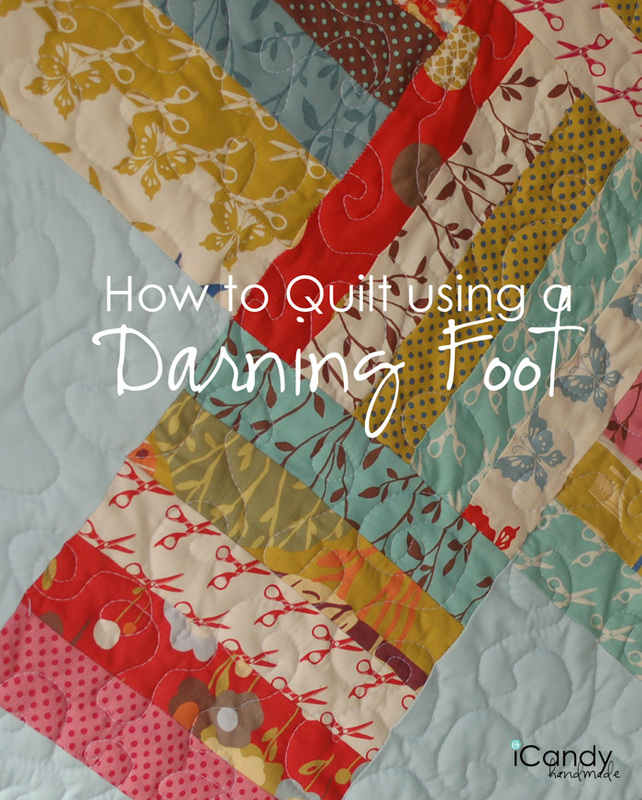 I hope this video helps demonstrate how to quilt with a darning foot. If you have any questions, let me know! !